Sandee is one of the founders of the Skihawks Racing Team along with the late Gordy Brock. She has a selfless commitment and a passion for providing people with intellectual disabilities opportunities to enjoy a high quality of life through winter sports, and off season team events. In 1982 the Skihawks had one lone athlete, and today they have over 80 participants. Her favorite memories have always included the smiling faces of her team members as they engage with others! I started snowboarding 20 years ago, and have been part of the Skihawks for 14 years. I enjoy getting to know and love a bunch of people that I would never have met otherwise. The competitive side of me loves racing, and beating all the young coaches down the course. I grew up in Utah. When I was 9 I really wanted to ski. So in the backyard of my friend’s house she strapped some skis on me, and wildly flew down the hill into a tree. My second attempt, different friend, was down a snowy cow pasture, and it came to an end at a barbed-wire fence. Finally when I was 12, my dad bought the whole family skis and we went to an actual ski resort, Powder Mountain. He thought that would be safer. In my mid-20s I switched to cross country skiing. 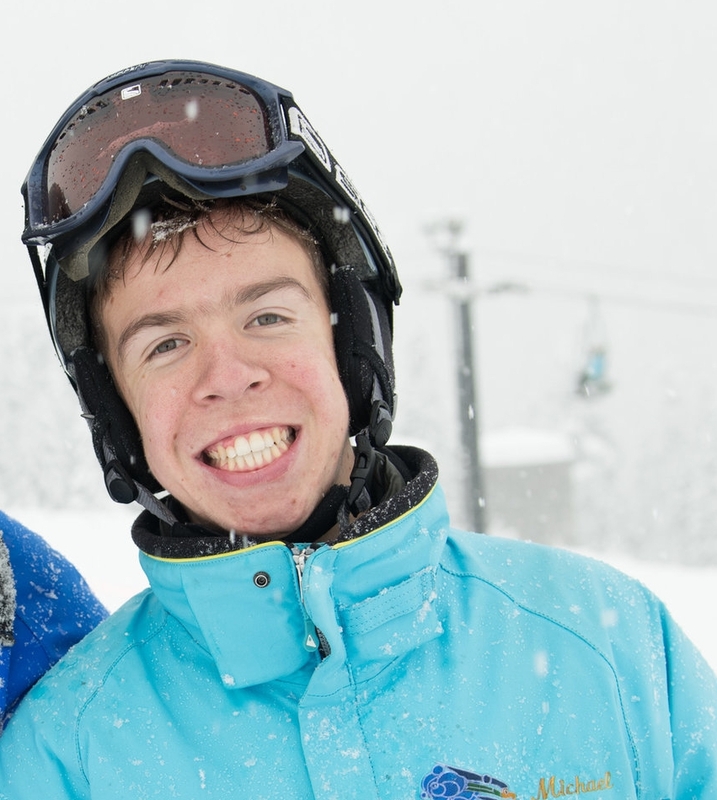 When I moved to Seattle I started volunteering with Ski For All. I’ve been on the Skihawks team for 10 years. I LOVE to see the athletes cross the finish line, feeling proud after giving their all. I appreciate their hard work, and love seeing them encourage their team mates. And of course there’s always a dance party! I started Nordic skiing at age 18 and crossed over to Alpine skiing a year later. I have been with the Skihawks team since the 1991/92 season after moving to Seattle from Spokane where I also coached with a ski team that participated in Special Olympics. It's hard to pick out a favorite Skihawks memory because I have so many of them! 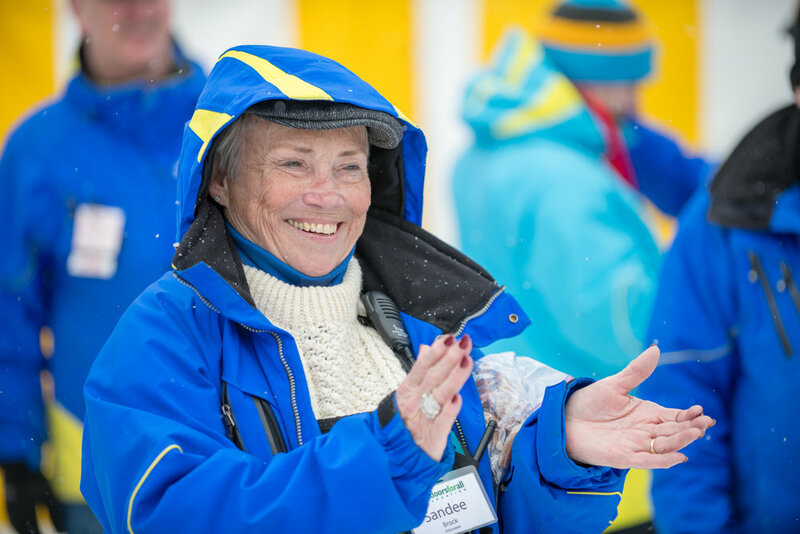 My favorite memories are of our athletes cheering each other on in the race course, helping each other with their equipment and the smiles that they wear as they march into the Opening Ceremonies at the State Winter Games! 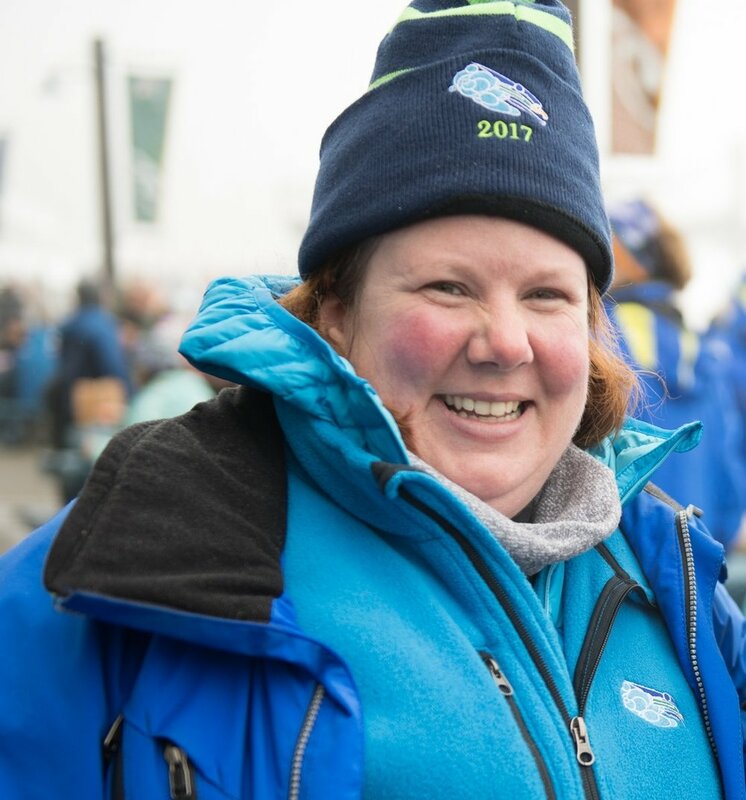 Amy Mogridge - I've been skiing since two years of age and I have been involved with Skihawks since 1987. My favorite memory since becoming involved with the team... it is so hard narrowing it down to one... I have loved being a part of the evolution of the team, how it has grown and shaped itself into what it is today. We have athletes who have been on the team for many many years. So even though they have made many lifelong friendships, they also welcome new people with open arms. I've been skiing and snowboarding since I was 7 years old. 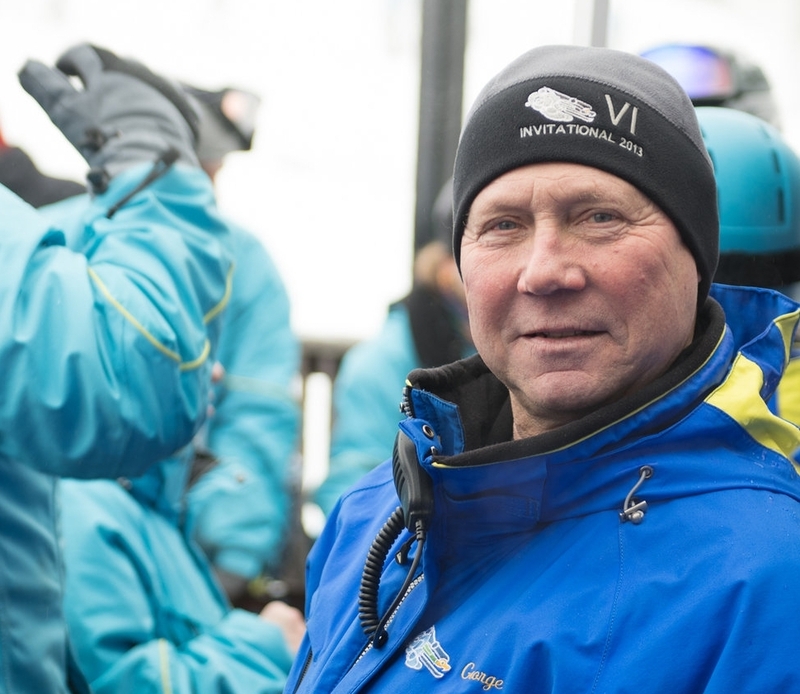 I've been volunteering for skiforall for 15 years. My favorite thing about Skihawks is watching all the athletes having so much fun every year. My skiing adventures began at age 7 in the Pocono Mountains of Pennsylvania where I promptly proceeded to brake my leg - oops! Cross country skiing became part of my repertoire during college in upstate New York. I joined Skihawks 7 years ago at the encouragement of my twin sister, Pam - long time Skihawks coach. I come back year after year because I love spending time with this team of truly special athletes and huge-hearted volunteers who have become my dear friends and extended family. My best memories come from seeing an athlete's exuberance when they learn a new skill, celebrating Crazy Hat Day together, and experiencing the camaraderie of State Games as music plays, smiles abound, and skiing is at its best. I started cross country skiing about 9 years ago. I have been a Skihawk for about 5 years. My favorite moment was being able to ski down a very steep hill without a tether. Because my coach, Brian, did not put it on me in time. By the time he was ready, it was too late and I had already started down the hill. I remember being very scared, but I put my fear behind me and did it without crashing and burning! I will never forget that moment. I did something I had never done before in all the years I’d been skiing. I started skiing at age 6!! This will be my 9th season skiing for the Skihawks. I am on the advanced downhill team!! I think my favorite memory of Skihaws is when Michaela, Shea and I skied down right by the chairlift at Hayak on the Sunday after regionals. It was so much fun in the snow, and working so hard on finding a way down the hill on the black diamond run. Everyone had fun doing it, and trying out a new challenge. We are a all volunteer working board. The Skihawks could not function without it's dedicated volunteers and especially it's Board of Directors (BOD). We want to thank the BOD for their leadership and dedication. The BOD attends monthly meetings, plans races and events, raises funds for the team, and plans year round activities including annual picnic and Awards Banquet. The BOD also has advisor committees and special events committees. If you want to help out or get involved contact Shelly Nance or Tracy Wertman for more details.